Drivers in the Carrollton area shopping for a pre-owned luxury vehicle have definitely come to the right place. Our team here at Certified Autoplex specializes in all things luxury. We have plenty of brands to choose from and even more models, which can easily make your decision even more difficult. That’s why we’ve been putting together research pages to make the entire process easier for car shoppers. This time we’re going to focus on Infiniti, which is Nissan’s luxury brand. Although we don’t have a ton of models to choose from on our lot, our inventory is constantly changing. The Infiniti lineup is quite diverse, so drivers who choose to go with this automaker will have quite a plethora of options. The Infiniti lineup has four sedans including one hybrid option, one coupe, four crossovers and one full-size SUV. 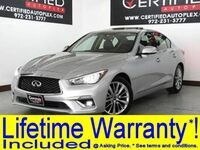 We’re going to highlight a few that we carry to give drivers a better idea of what Infiniti offers. 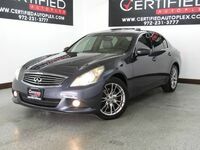 One of the models available on our lot is a 2007 Infiniti M35 sedan. It has since been discontinued and is no longer available as a new-year model. Although this model is technically ten years old, it has a ton of features that are desired nowadays. It comes with a lane departure warning system as well as navigation. There is a sunroof and leather heated and cooled seats for the ultimate comfort. The other two models currently available are from 2014 and 2015, so they’re much newer models. 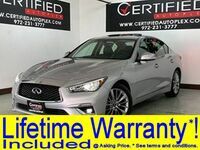 The Infiniti Q40 and Q50 sedans are both equipped with 3.7-liter V-6 engines and paired with automatic transmissions for a smooth and easy driving experience. Rear-wheel drive is also standard. Features include rearview cameras, keyless start and heated seats. Drivers interested in learning more are welcome to contact our team here at Certified Autoplex for more information. Those looking to get behind the wheel can do so by scheduling a test drive online today. 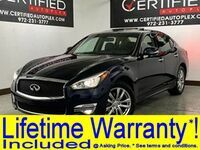 Interested in a Used Infiniti Models?